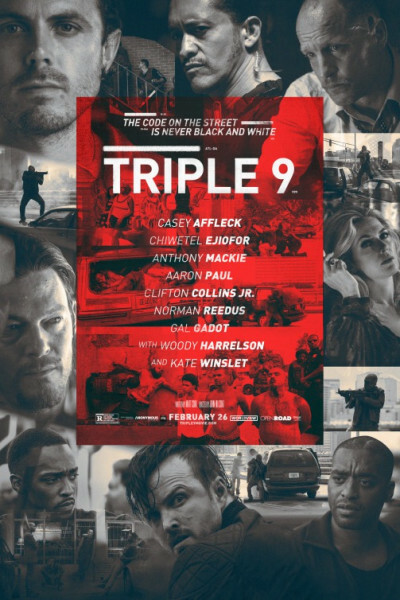 Good heavens, I barely recall seeing a trailer for this one, and it has a cast of nine serious actors and 2-3 other recognizable faces. I only caught it because the time worked out well. Sorry to be simple-math-formulaic again here, but I can't help myself. This one is Above the Law + Training Day + Inside Man + Miami Vice (cinema, not telly) + The Departed + "anything 'Russian mafia'" (e.g., Eastern Promises). It comes at you pretty hard and fast, totally getting your hopes up...but then sorta stalls mid-air about 2/3rds of the way through. A few folks get their vengeance at close range, yep, but I don't know how satisfying it is. More bittersweet, I'd say, than satisfying. Anyhoo, it's probably a strong 7. For the story, actors, and potential, it shoulda been an 8, so I'm tough on it. Would expect more from these guys and gals given the material at their disposal. It's got two or three rough, minorly depraved scenes, so it's definitely not for the feint of heart, nor is it a 'date' movie.